Editor’s note: please enjoy another post by Alex Fogleman, director of the Institute for the Renewal of Christian Catechesis and Brazos Fellows tutor. I had the privilege recently of reading through a portion of Jean Leclercq’s delightful book, The Love of Learning and the Desire for God, with the Fellows. Once again, I was struck by the surprising resonances between what the Brazos Fellows are up to here in Waco and how an exemplary group of Christians in the past lived, thought, and prayed—in this case, the twelfth-century “monastic culture” that is the subject of Leclercq’s book. While the Fellows are not monks, there is something delightfully monkish about their way of life and course of study. “In the cloister, theology is studied in relation to monastic experience, a life of faith led in the monastery where religious thought and spiritual life, the pursuit of truth and the quest for perfection, must go hand in hand and permeate one another” (199). To draw out this mutual permeation, Leclercq highlights the differences between monastic and scholastic theology. Monastic theology emerged in the cloister schools, which admitted and taught students who would become monks—those whose primary tasks were prayer and lectio divina. They learned the liberal arts in these schools for the express purpose of contemplative reading. Scholastic theology, whose eventual home was the university, began first in the clerical schools, which were often more urban, linked with the town church or cathedral, and trained students for the “active” life of preaching, pastoral care, administering the sacraments, and performing the liturgy. While there was much cross-fertilization between these two milieu (scholastics prayed; monks thought about pastoral issues), each developed a distinct mode of doing theology. scholastic theology. Both the schoolmen and the monks reflected on the same sources (Scripture and the Tradition) and ultimately both pursue an understanding of the “intelligence of faith.” Indeed, there can ultimately be only “one theology,” as there is “one Lord, one faith, one baptism”— ultimately one spring from which all truth flows. This is what separates a proper Christian gnosis from gnostic heresies (214). Nonetheless, the two states of life generated two distinct theological styles. Monastic theology was more shaped by the grammatical disciplines of writing and commenting on literary sources, rather than the study of logic, which was paradigmatic of the schoolmen’s dialectic method. Monastic writing was more determined by biblical and poetic images (which they believed was more fitting to the object of study, namely, the ineffable God) rather than the scholastic penchant for abstraction and precision. The monks’ purposes in writing were, in a fundamental sense, initiatory rather than explanatory. They wrote to other monks in order to encourage deeper contemplation and a more profound experience of God rather than to teach a particular intellectual understanding about God, abstracted from experience. As Leclerq pithily characterizes it: the monastic motto was credo ut experiar rather than credo ut intellectum (212). At the same time, Leclercq is at pains to emphasize that monastic theology, with its telos of experience, is just as intellectually serious as scholastic theology. It warrants to be called theology no less than scholasticism. St. Bernard of Clairvaux deserves the title of theologian no less than St. Thomas Aquinas (and perhaps we should also add that Aquinas might deserve the title of mystic no less than Bernard). Our judgments about who the great theologians are, it seems, are more reflective of modern understanding of what “counts” as intellectual achievement than a deeply Christian vision of wholeness in the life of God. Monastic theology, in sum, is just as crucial to the thinking life of the church as the great scholastic achievements of that era. In fact, Leclercq concludes that, properly ordered, monastic theology is the proper completion or fulfillment of scholastic knowledge, just as wisdom is the proper culmination of begins as the “fear of the Lord” (Ps. 111:10; Prov. 9:10). Intellectual knowledge—knowing about God—requires a holy, biblical fear in order to be transformed into true wisdom—knowing God. Theology requires prayer at every level of its being in order to retain its traditional meaning as “praise of God” (225).  Leclercq cites the well-known saying of the fourth-century monk Evagrius of Pontus to characterize the spirit of monastic theology: “If you are a theologian you will pray in truth, and if you pray in truth, you are a theologian.” Every day at 7:30 a.m. the Brazos Fellows show up—in varying degrees of wakefulness—to Morning Prayer. Then they read, or on Tuesdays and Thursdays have their Course of Study. They literally study and pray in the same building—and importantly, it is a church. They will also share meals together. They work. They meet with a spiritual director. The Fellows, in other words, are able to engage in the love of learning and the desire for God—in fact, they do the one by doing the other. Their particular “state of life” encourages a kind of theological reflection that echoes monastic theology. Indeed, in my view, the Fellows are well on their way to becoming, as Evagrius would say, true theologians.